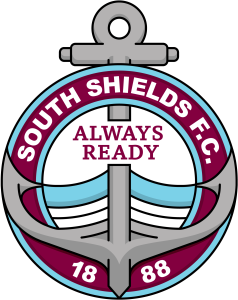 Joint manager Graham Fenton has backed on-loan Sunderland youngster Dan Wright to impress in his spell at South Shields. Midfielder Wright joined Shields on a youth loan from the Black Cats last Friday, and is due to be with the club until February 11. The 20-year-old, from South Shields, impressed on his debut for his hometown club on Saturday after being introduced as a second half substitute in the 5-1 win over Mossley. Fenton believes he will continue to shine during his time at Mariners Park. He said: “I like Dan. We’re really pleased to have him on board. “He shows really good technique and is comfortable on the ball, and you could see on Saturday that he’s aware of his spaces. Wright’s most recent appearance for Sunderland’s Under-23s side saw him score twice in a 2-1 win over Derby County on January 7. He has featured for England’s Under-16s, Under-17s and Under-18s, and is known for his ability to keep the ball and time his runs into the box. This is Wright’s first taste of senior football, and he is relishing the chance to make an impact at Mariners Park. He said: “I’m just hoping to get some game-time and get used to men’s football. “I really hope I get the opportunity to do that here. WORDS: Daniel Prince. IMAGE: Peter Talbot.